One month after Steve Wynn stepped down as CEO of Wynn Resorts amid allegations of sexual misconduct, the company he founded keeps undergoing corporate shakeups. Board member Ray Irani said on Monday that he would resign immediately, according to a corporate filing posted Wednesday. Another board member, Alvin Shoemaker, told the board he would step down when his current term ends in 2019. "I personally would like to thank them both for their service to the company," CEO Matt Maddox said in a mid-quarter earnings update with investors on Wednesday. Maddox sought to reassure investors after a tumultuous start to 2018. Wynn resigned in February after claims of sexual misconduct, detailed in a report by the Wall Street Journal, put pressure on the casino mogul and knocked the company's stock. Wynn has denied the allegations. On the call, Maddox shared "strong" results in Macau and Las Vegas for the first two months of the year, which included the Chinese New Year. He said the company would raise its dividend for shareholders in the first quarter of 2018. Shares of Wynn Resorts rose 3% in after-hours trading. Maddox did not discuss Wynn Resorts' continuing legal troubles. On Wednesday, the state of Oregon announced that it's suing Steve Wynn and Wynn Resorts on behalf of its state pension fund. 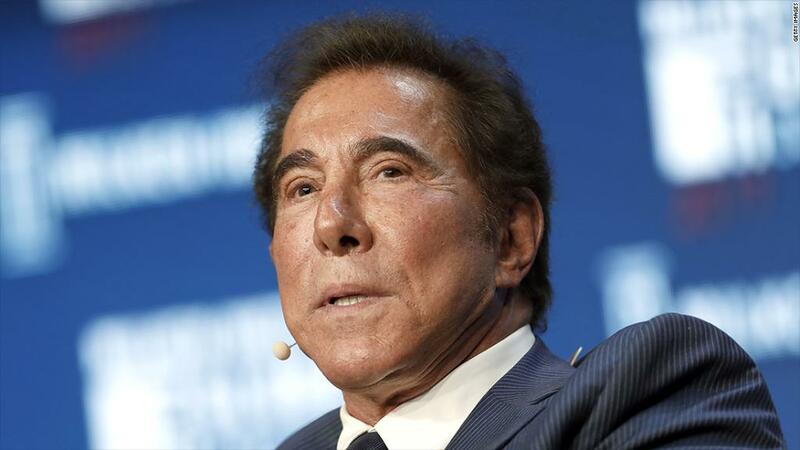 "Wynn's board of directors failed to protect shareholders, the company, and its employees when it failed to investigate allegations of sexual abuse and harassment," State Treasurer Tobias Read said in a statement. Oregon joins a number of other shareholder groups, including the New York State Common Retirement Fund, in taking legal action against Wynn and the company due to fallout from the sexual misconduct scandal. Wynn Resorts said it had no comment on the latest lawsuit.